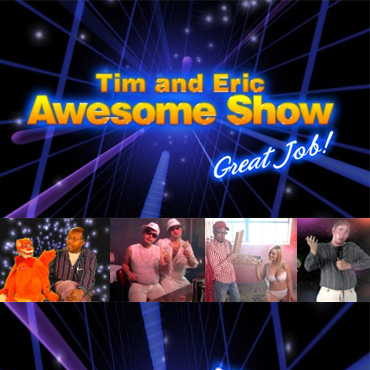 So this is a special post, a compilation of songs from the [adult swim] show. If you haven’t seen it yet, I highly recommend it. It is an incredibly unique sketch comedy show, frequently starring alumni of Mr. Show, of which it is heavily influenced by. These songs may not be as funny without the visual context, but for fans of the show, they are immediately recognizable. So if you’ve seen the show or not, I still think its worth downloading these songs. So enjoy and there’s still more to come. This tracklist is not in order, but here are the songs contained within, with names I’ve given them. I apologize for the lack of posts recently, but I just returned to school and the internet is at a crawl here…oh and I have classes and stuff. So I’m gonna do my best to post something else this weekend, so hang in there.